Local store marketing (LSM) is an effective way to invite your community into your restaurants, attract new guests, build repeat visits and increase sales. Learn to create loyal guests who return again and again by building long-lasting relationships with school and business personnel and guests dining in your restaurants. 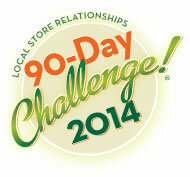 The LSM 90-Day Challenge is by far the most effective way to jump-start a restaurant’s local store marketing campaigns. It assists restaurants in building relationships in the local communities resulting in increased brand loyalty, sales and guest counts. The LSM 90-Day Challenge gives managers and staff the weekly tools needed to not just market their restaurant in their community but build long-lasting relationships and loyalty that will keep guests coming back. The Challenge offers hundreds of tips, challenges and ideas for ways to start generating sales immediately. Plus, managers have told us they love the program! And, after three years of implementation, the 90-Day Challenge has a 100% success rate. 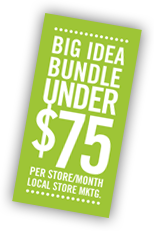 Three exclusive LSM programs bundled and offered to you for under $75 per month, per location! We offer you the most comprehensive and successful LSM programs available. 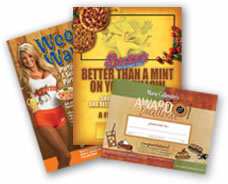 Our exclusive package includes everything that your restaurants will need to succeed in their local communities. We are THE local store marketing experts. >> Contact us. Find out how you can easily increase sales. "Big Idea has created one of the most buttoned up and best LSM programs I have ever seen." 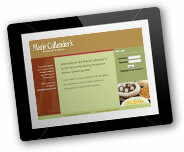 "The LSM 90-Day Challenge has been a very successful program for Marie Callender's. We have found that the LSM Challenge series not only provides the marketing tools and coaching to our local management teams creating successful marketers at the restaurant level, but also enables us to maintain a strong presence creating relationships in our local marketplace. Given the economy and recent trends in the Casual Dining segment, creating and maintaining loyal guests through our LSM strategies has had a direct impact on our overall business."